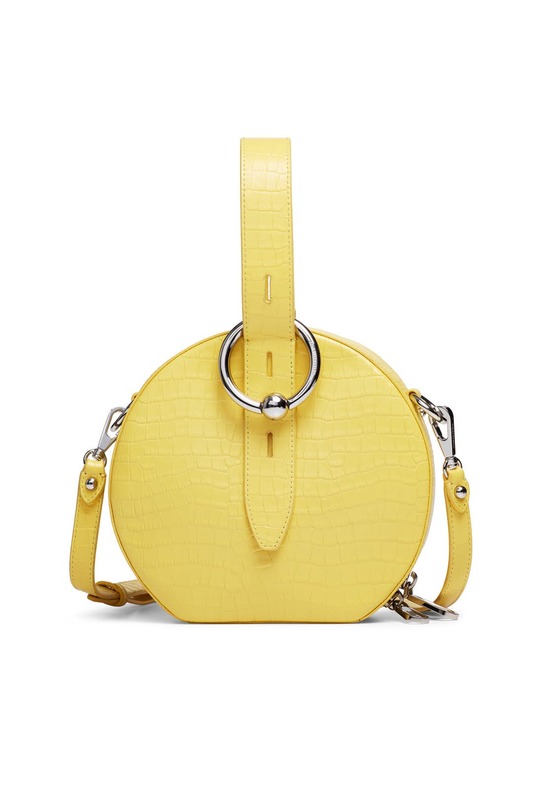 Round out your look with this croc-embossed Rebecca Minkoff crossbody we can't get enough of this season. 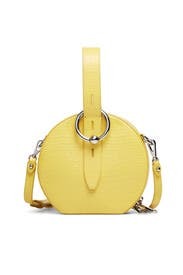 Yellow croc embossed circle bag with structured loop strap. 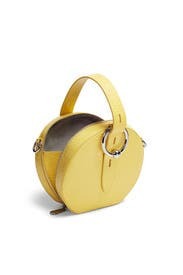 Top zipper closure and interior slip pocket. 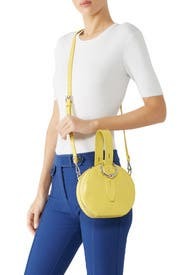 5" handle drop and 23" adjustable crossbody strap drop. 8"W x 7.5"H x 2.5"D.